Prof. Karunakar Mohapatra (1943-2017), started his career as an English lecturer from government college, Bolangir, Odisha. A known critic and translator. Good numbers of articles had been published in his credit in different periodicals time to time. One of his important translation work is The Voice of Silence. 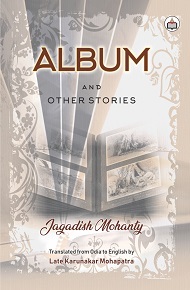 Jagdish Mohanty (1951-2013) was renowned Odia writer, recipient of many prestigious literary awards such as Sarala Puraskar and Sahitya Academy Award. He was known as "trend-setter" in Modern Odia fiction. After his entry in 1970 in literary field, very soon he became an epicenter of literally news as he created great sensation and experimentation in writing style, pattern, language and selection of themes in post independent era of Odia literature. He stood an unparalleled and an exceptional Odia story writer till last four decades. New generation still respects him as role model. A literally journal Sambartak edited by him put revolutionary impact on history of Odia fiction. Delhi Doordarshan (National channel) of India had telecasted a documentary film (Literary Postcard) based on his life and his master piece & creative works. This “Literary Postcard” was produced by Dr. Satti Khanna of Duke University, Durhum.